Many naturals aren't a fan of blow drying, because it can be, well, drying. But for the most elongated and stretched hair, blow drying is the way to go. Just remember to deep condition your hair, and always use a leave-in and heat protectant to prevent the hair from drying out and causing heat damage. Same for diffusing. 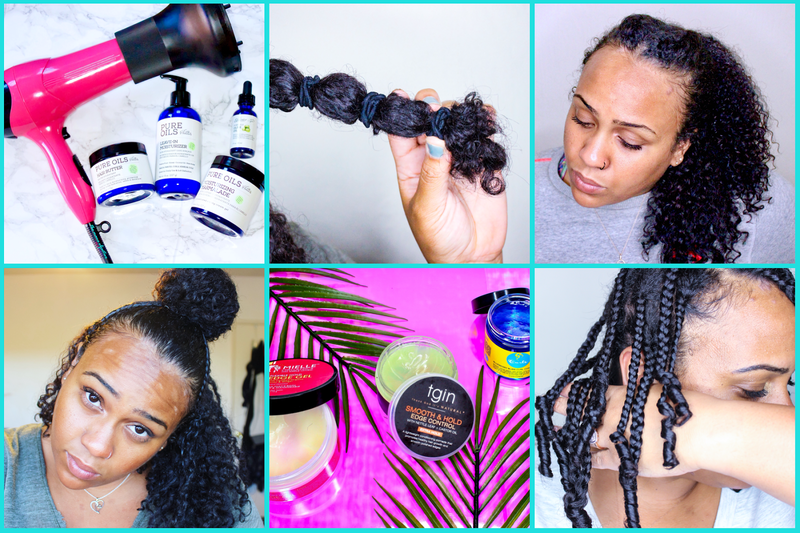 For deep conditioning, try one of my top picks listed here. Need to step up your heat protection game? These are some of my faves. Banding is another popular way to go, because it only requires two things: scrunchies and patience. Depending upon how stretched you want your hair, you can band in as few as two sections, or as many as 10 (or more). Simply part hair into sections, and put each section in a ponytail. Move down the length of the hair, adding more scrunchies. For less stretch, space them wider apart. For more stretch, put the scrunchies close together. For hair that stretches quicker, wait until your hair is almost completely dry to band it -- or band hair that is already dry. Soaking wet hair underneath bands will take an eternity to dry. And remember -- don't cause too much tension at the roots! 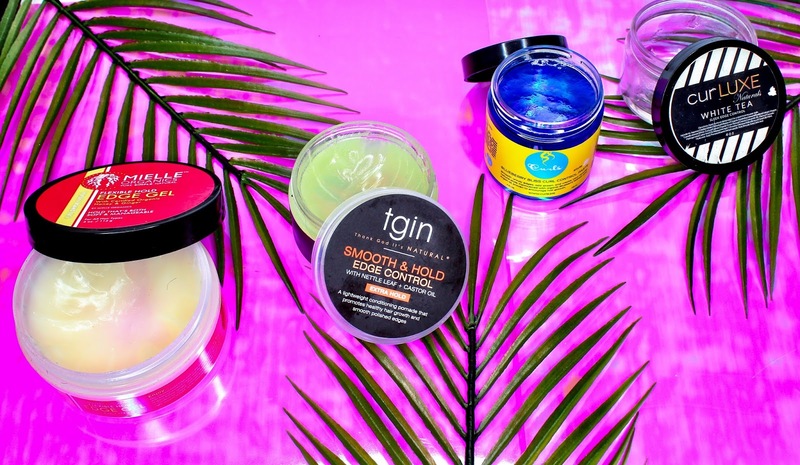 The perfect alternative to the wash n' go. 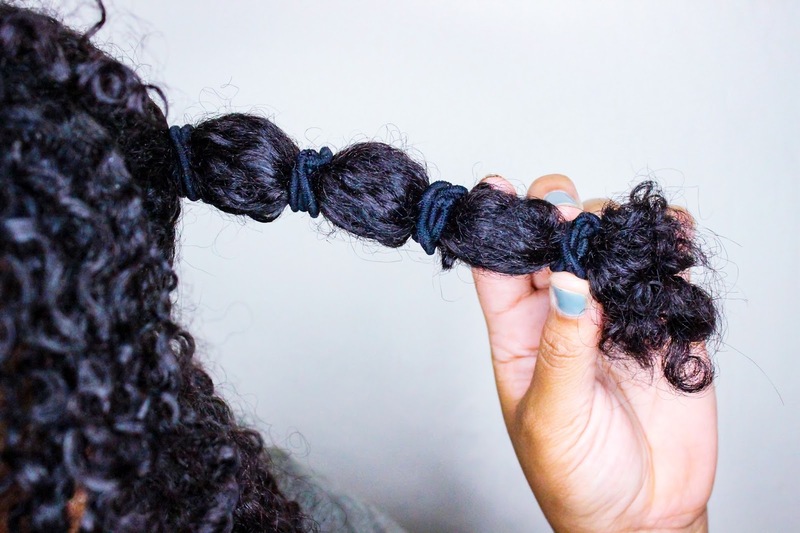 Braiding as a stretching method gives you the best of both worlds. Not only does it elongate the hair, but the end result can range from a smooth crinkly style to flowy mermaid-esque waves. For less stretch and more definition, create smaller braids. For more stretch than definition, make larger (about 4) braids. For maximum elongation, make sure hair is completely dry first. 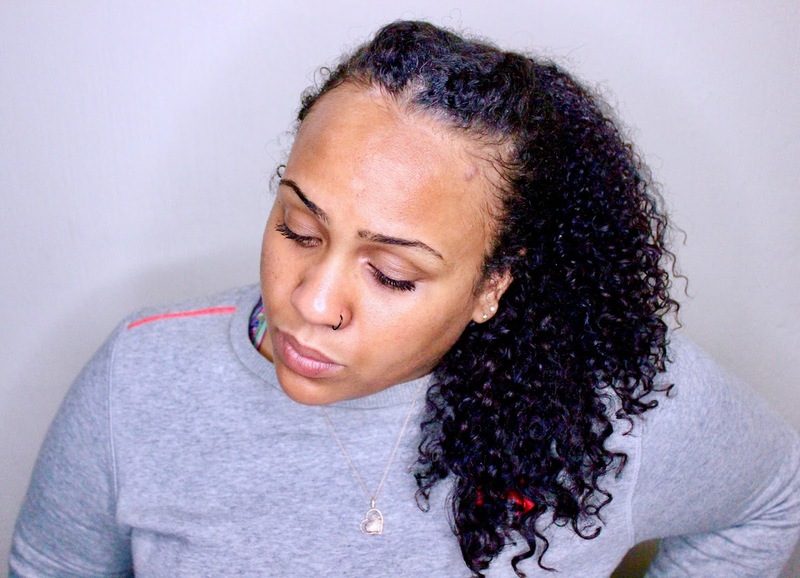 Some naturalistas love to blow dry or band, then braid! I think I'll be revisiting this style very soon. For me, bunning is a great way to stretch only the roots of the hair. 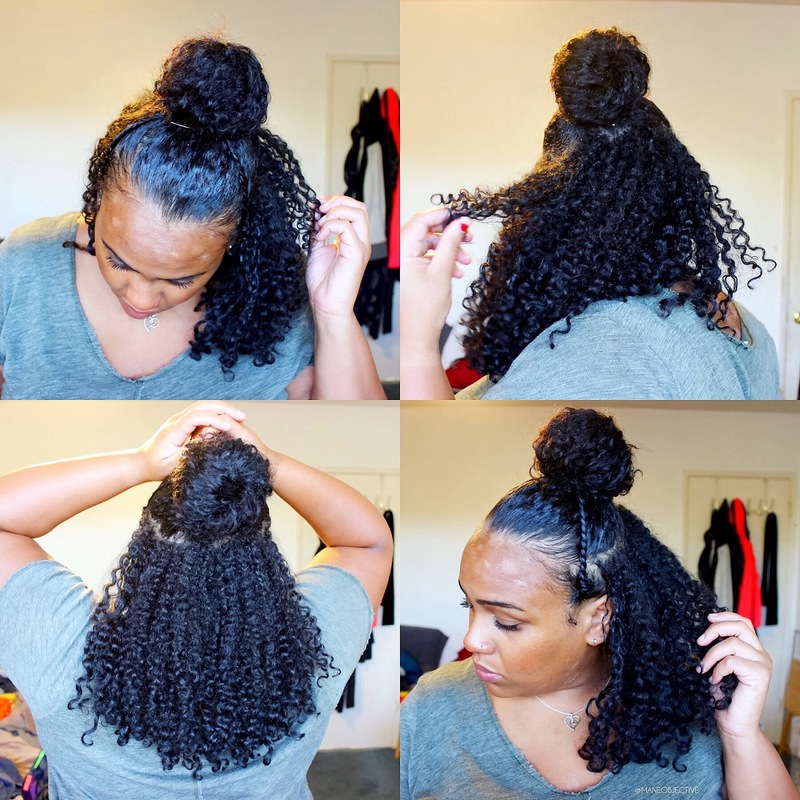 By creating buns with old wash and go hair, my roots and the perimeter of my hair are stretched, while maintaining the bulk and volume of my hair through the ends. Bunning is the perfect precursor to a half up, half down or pulled back style. Buns always work best on dry hair. Wet, bunned hair is an invitation for eternal dampness and tangle city. Amp up your sleekness for the bun and the takedown style by using a little one of my favorite edge controls on your edges. Twist it back with some pins and boom! You're done. Don't want to chance ruining the rest of your style, but still want some stretch? Try bobby pins. I have multiple textures, and the front/center area of my hair shrinks significantly more than the back of my hair. To avoid mushroom hair syndrome, I almost always spend day 1 of my wash and go with a pulled back style using bobby pins. 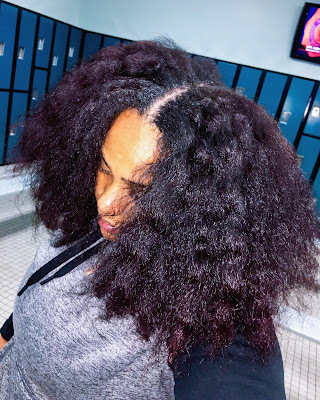 It allows the bulk of my hair to dry, and helps my hair to dry in the most shrinkage-prone areas of my hair to dry in the stretched position. 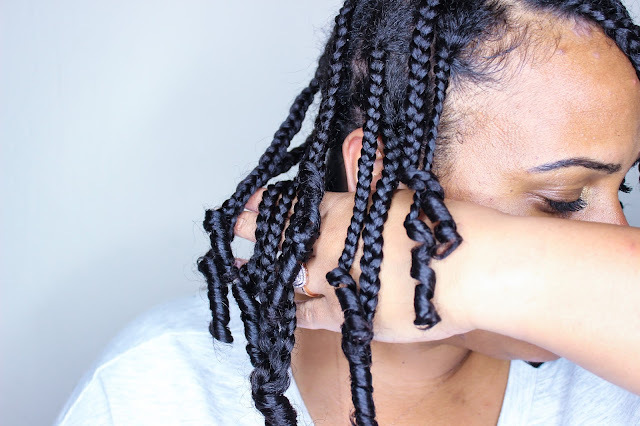 Bobby pinning is also good for braidout and twistout stretching as well. Braiding the hair, stretching it across the head, and securing it with bobby pins guarantees even more stretch! For twistouts, stretch and twirl the root, pulling it downward gently. secure a bobby pin at the root to hold it stretched while it dries. This creates a twist out with more elongation at the roots. What's your favorite way to stretch your #naturalhair?